DDU Gorakhpur Admit Card 2019: The Deen Dayal Upadhaya Gorakhpur University(DDU) will soon release the admit card of the UG(BA BSc BCom etc) and the PG(MA MSc MCom etc) courses along with the entrance exams for those candidates who are eligible. The university releases the admit card through the online mode only. It is necessary for each student to download the admit card. Those candidates who successfully registered and done the payment successfully will get their Gorakhpur University Admit Card of both the examination. Also if the applicants want to know the information regarding the examination center then they will get it through the admit card only. The expected DDU Gkp Exam Date 2019 of the entrance exam hall ticket of the DDU Gorakhpur is given below. The board will give the admit card to those candidates who fill the application form before the last date. If any of the candidates want to know how to download the entrance and the sessional DDUGU Exam Admit Card then they can follow the steps given below. The steps will help the candidates to directly download it from the official site. Go to the examination notice section and click on the admit card link. Click on the desired link of the courses admit card. After clicking on the respective link a tab will open under which the students required to enter the few details. After that the student required to click on the submit button. The admit card appear on the screen. Take print out of it for the future use. 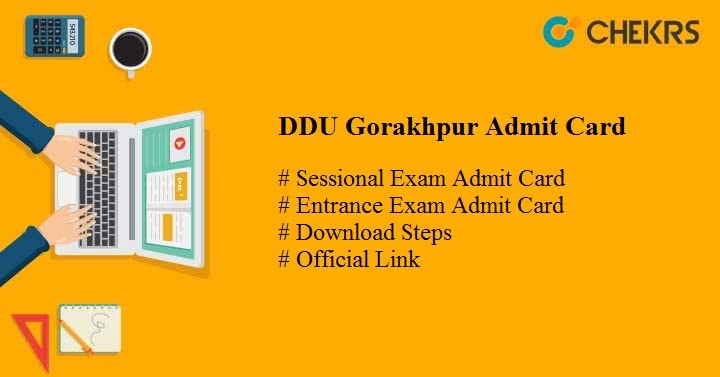 To know what are the details presented on the DDU Gkp Admit Card 2019 we are mentioning here some points. Through these points, the candidates can match the details which are required to available on the admit card of the DDU. The details are as follows. Firstly candidates required to check the details which are printed on the admit card is correct or not. All the candidates required to report at the examination center before ½ an hour of the exam started. Candidates required to bring the original ID proof which is given either by the university or by the govt. for verification purpose. In any of the situation, late candidates will not allow giving the exams. There will be action taken for those candidates who bring any of the electronic items/ gazettes at the examination hall. Note: the candidates will get their admit card of the entrance and the sessional exam through the online mode only. The university released the admit card before one week of the exam started.